Gambling is one of the most valuable industries out there with a market capitalisation that is expected to cross $520 billion by 2023. Just like in any other major industry, new technologies infiltrate the gambling sector and provide future opportunities and open new markets. It does therefore not surprise that countries like Malta offer a legal framework for gambling companies to start working in the european territory. 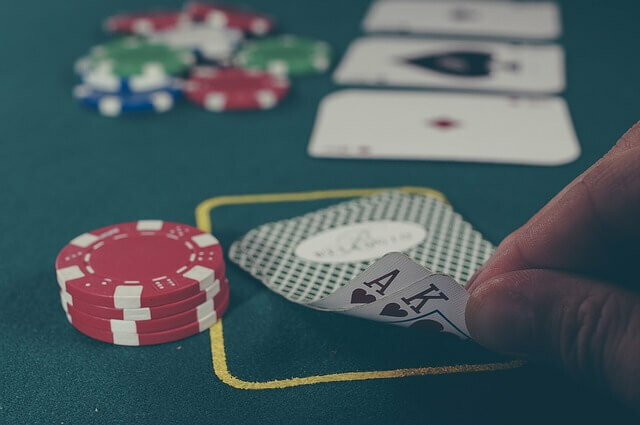 Apart from cryptocurrencies, as means of payment, the blockchain technology itself can make significant transformations in the existing gambling industry. One prime example of how blockchain can be used to help revolutionise the gambling industry is betbox. Betbox is an online application which is designed to work as a high-tech betting platform powered by Ethereum Virtual Machine. Betbox app users can bet on events that are listed on the platform and also create individual events by themselves. Events can be private for a selected audience or shared in public so anyone can join. Apart from betting events, betbox users can also list personal challenges within the platform so other users can bet on whether the challenge will be accomplished or not. Additionally to this, betbox aims to provide futuristic features to entertain its followers and give them a chance to secure earnings or win a life-changing jackpot. Betbox also ensures secure payments within the platform by providing decentralized wallets which will be connected to the user accounts. The betbox coins, which are used to fuel the native OX-Chain will ensure smooth flow of payments within the betbox platform and also makes it convenient for users to place bets quickly. But not only the betbox coins can be used for taking part in events. The ecosystem is designed to enable betting with other currencies and also with FIAT in the future. What Blockchain Means For Gambling Industry? As we mentioned in the beginning, the gambling industry is among the most prosperous industries globally. With the introduction of blockchain in gambling, more people will be interested in trying their hands in gambling and betting, thanks to the transparency and security offered by blockchain. Betbox is one of the best blockchain-backed betting and gambling apps out there and offers a completely legal, convenient and secure environment. As blockchain becomes more prominent everywhere, we will surely be able to see more platforms like betbox that incorporate the features and efficiency of blockchain into the gambling industry. But will there be space next to this industry leader?